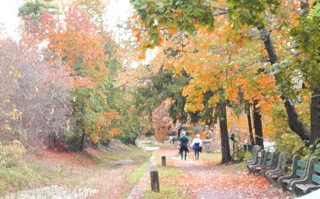 This is the tow path along the Canal in New Hope, Pennsylvania. The picture was taken by me, the day before Superstorm "Sandy" hit. I have not been back to see if all of the trees are still standing though I doubt it. I used a filter in photoshop to get the final image.